Great Barrington — Dance theater troupe Pilobolus will perform “Come To Your Senses” Saturday, Feb. 9 at 3 p.m. at the Mahaiwe Performing Arts Center. The company invites audience members to engage with childlike wonder in the miracle of the senses through both classic and brand new repertoire that begins by examining human biology and ends by utilizing the senses in what it describes as a refreshing immersion in the biosphere. Founded in 1971, Pilobolus tests the limits of human physicality to explore the beauty and the power of connected bodies. The company has performed on Broadway, at the Academy Awards and the Olympic Games, and has appeared on television, in movies, in advertisements, and in schools and businesses, creating over 120 dance works. The company continues to propel the seeds of expression via human movement to every corner of the world, growing and changing each year while reaching new audiences and exploring new visual and musical planes. Tickets are $40 to $85. In addition, the Mahaiwe offers $15 youth tickets for those ages 30 and under, pending availability, by visiting or calling the box office. For tickets and more information, see the Berkshire Edge calendar or call the Mahaiwe box office at (413) 528-0100. Great Barrington — Bard College at Simon’s Rock will welcome author and playwright Calvin Alexander Ramsey for a public reading Tuesday, Feb. 5, from 4 to 5 p.m. in the Alumni Library. 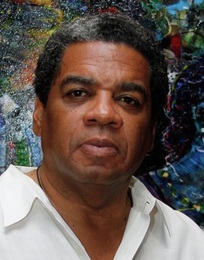 Ramsey has served on the Georgia Council for the Arts theater panel and is a proud recipient of the Dr. Martin Luther King Jr. Drum Major for Justice. The reading is free and open to the public. For more information, contact Bard College at Simon’s Rock at (413) 644-4400 or info@simons-rock.edu. Great Barrington — The Community Development Corporation of South Berkshire will present its third free community Dinner & a Movie event Thursday, Feb. 7, at 6:30 p.m. at the Triplex Cinema. 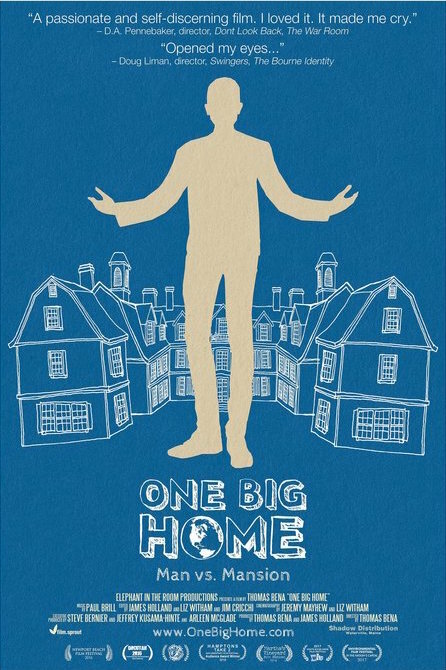 The event will feature a screening of the documentary film “One Big Home,” produced and directed by Thomas Bena. A question-and-answer discussion with Bena and documentary interviewee Chris Murphy will follow the film. Free pizza will be served and wine will be for sale. Set in Martha’s Vineyard, “One Big Home” chronicles carpenter-turned-filmmaker Bena’s journey to understand the island’s trend toward building giant houses. Bena’s film grapples with issues of housing affordability; preservation of open space; environmental responsibility; the effects of an increasing demand for second homes; and, more generally, the importance of ordinary people playing active roles in determining the destiny of their communities. The film explores some of the most crucial issues currently impacting rural communities. The event is free and open to the public. Reservations are appreciated though not required. For more information or to RSVP, contact the Community Development Corporation of the Berkshires at (413) 528-7788 or info@cdcsb.org. Pittsfield — The National Alliance on Mental Illness Berkshire County will hold its fifth annual “Cupcake Wars” fundraiser Thursday, Feb. 7, from 5:30 to 8 p.m. at Berkshire Hills Country Club. The fundraiser will involve bakeries from throughout Berkshire County competing for the best cupcake in the categories of People’s Choice, Best Tasting, Best Presentation and Most Creative. Participating bakeries include Viability’s Berkshire Pathways, Gimme Some Sugar, Jennifer’s Cookies & Cupcakes and Cakes, Linda’s Pastries, and Sarah’s Cheesecake & Cafe. The cost to attend is $35 in advance and $40 at the door, and includes an Italian dinner prepared by UNICO of Pittsfield as well as a cupcake tasting. At the end of the evening, a dozen full-size cupcakes from each bakery will be auctioned off to the highest bidders. All attendees are eligible to bid. For tickets and ore information, see the Berkshire Edge calendar or contact NAMI Berkshire County at (413) 443-1666. All proceeds will support NAMI Berkshire County. Pittsfield — Berkshire Children and Families will offer a mentor meet-up event Wednesday, Feb. 6, from 5 to 7 p.m. at Patrick’s Pub. The public is invited to speak with current mentors and staff of BCF’s Pittsfield Community Connection to see how they can “make a friend while making a difference.” Mentors work with young people from Pittsfield once a week to help with homework, play a game, or just hang out. The event is free and open to anyone interested in mentoring. Refreshments will be served. For more information, contact Gail Krumpholz at (413) 822-4196 or info@berkshirechildren.org.